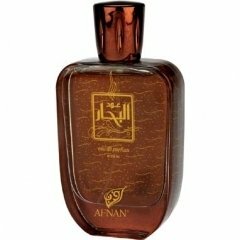 Oudh Al Bahar is a perfume by Afnan Perfumes for men. The release year is unknown. The scent is gourmand-spicy. It is still in production. One of the best oriental scents I know. Perfect balance of sweetness, woodiness and spiciness. I feel amber, honey, cinnamon and maybe oud. Perfect for winter and cold weather, in summer it has a strange unpleasant odour. Above average projection and longevity. I recommend this to oriental gourmand lovers. Perfectly unisex. Very similar to Kalemat (Arabian Oud), Asrar (Majid Muzaffar Iterji), Raghba (Lattafa), 24 Gold (Scentstory). I love this perfume. Write the first Review for Oudh Al Bahar!